These are incredible. Sweet, savory, juicy, and so flavorful! 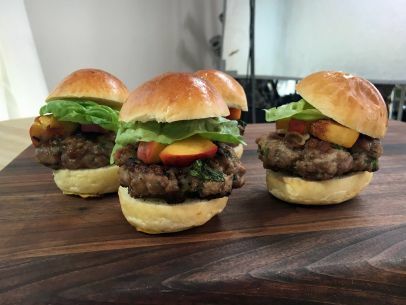 The sliders are inspired by chef Ariane Duarte’s juniper cured pork chops at her restaurant, Ariane Kitchen and Bar. Check out the video on below – we had a blast! Thank you, Ariane!